Uplink a classic with many wishing there was a sequel that never happened. This was a fun one to go down nostalgia lane again. Outside of my eyes burning red trying read the text that never aged well with a game like this it was a fun time. Sure I could have loaded up the mod Onlink that makes the UI friendlier to the eyes but I prefer that classic taste. As such I cranked down my monitor resolution but that only help so much. This is one of those Hollywood type hacking simulators. There have been quite a few that tried to live up to Uplink but none of them really did. Even in 2019 it still holds strong but there is a contender I might get around to buying at some point along with replying a bunch of this genre that I’ve bought over the years. You start off with a very merger computer and just the basic being explained to you to get in enough trouble and enough maybe get away with it as well. Create a lot of bounces and you better clear those logs at InterNIC which is oddly enough always listed as the government. Easy to crack and the first place you always go to in your route with how easy it is to delete the logs. 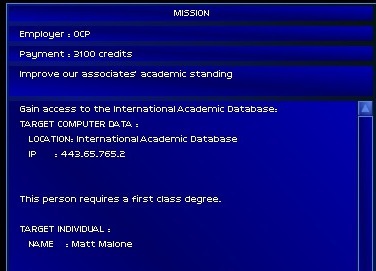 It all starts off with some rookie stuff you get some contacts (missions) from Uplink Corporation’s BBC. Most of the message there is encrypted since you lack any ranking to see the harder stuff. Someone wants to give you a couple of bucks for just helping yourself to a file and sending it to them. Naturally, you want to upgrade hardware, software and even the gateway Alpha that sits in one of their offices. I went for the New York location myself but there are others. Uplink Corporation is an interesting place that happens to hold your gateway and if you get caught and your everything gets seized while they will claim they don’t know who you are. You just accept the anonymous transactions sent to the bank account they have set up for you and continue to buy more and better software and hardware. 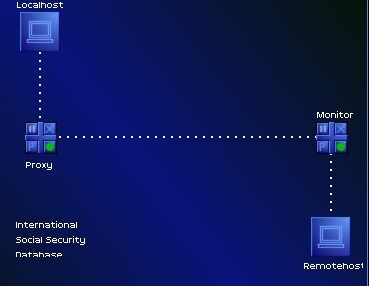 You can even in the later stages have computer security added like a camera to see when they are coming for your gateway and hopefully destruct it and escape having your account taken out. Along the way you find yourself taking on harder and harder tasks inside of the game. What once was just run the password breaker and get out before being traced evolved into quite the operation of information gathering and research. That dictionary hack program you bought after a few times out turned out to be a total waste. In no time flat are people no longer leaving the same password for you to easily reenter into the same system they wised up and made the passwords harder. Just like in real life there are a lot of fakes living in this world of Uplink. There were quite a number of missions having you go into Internationals Academic Database and changing grades, certs, heck even including they worked for Uplinks themselves. Rich professional as the emails claim just wanting some extra help. They also paid in-game well as well so you make the changes. Sometimes racking up three or so jobs to do all at once and save some time. Thankfully with a few bounces and some luck the International Academic Database is quite slow to trace you back. You can even collect your payments while still connected. All before going back to basics and wiping your logs at InterNIC. The computer hardware and upgrades were always a bit amusing. For a game being this old the stats, they gave you in-game rival even today’s standards in some aspects while we are slowly marching forward having personal computers be in a bar in others. A max out gateway with 8 CPU’s and 128G of memory-- oh yes please. That is quite a hearty server. Now if only we had 200Ghz processers why that be insane! I wonder sometimes what kind of cooling systems these monster gateways must have had. Thankfully that was never anything you had to take care of. They also had impeccable instilment times as well just 24 hours and your new shiny upgrade is installed. A faster CPU and more of them ensured passwords would stand no chance at all. 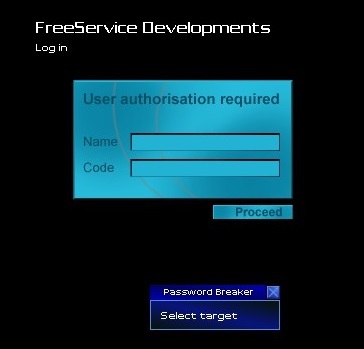 Even more so once you learned to bypass the monitor on that system that did not start the trace till you log in. That is unless you happened to found a couple of passwords out there hidden in the documentation. At some point you needed to invest a lot into memory as all those programs you started to acquire sure would eat up a lot of it. No to mention some higher steal file missions required an increase in modem speed capping out at 10gq. They must have had some fast lines back then I w would hate to see the internet bill for that speed. Oddly enough Uplink only ever charged 300 credits a month membership. They must make a killing off me double and triple finishing missions by the handful. 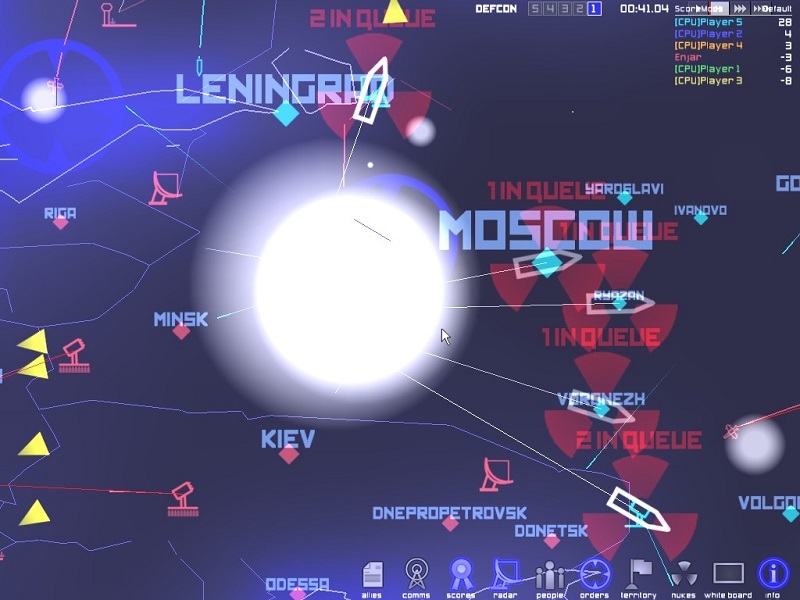 While the hardware upgrades where fun it was all about getting those Hud upgrades and it all started with connecting Analysis. 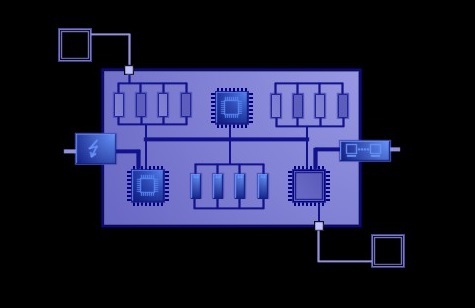 This opened up a new part of the game’s UI that showed you some of the projects on the target’s network. You would find yourself soon saving to buy a max rank for firewall, proxy, and monitor bypass programs. Even with these new toys to make life easy the game would crank it up even higher. After a while, if you wanted to do the newest missions you unlocked for increasing your ranking inside of the organization to carry out harder the more devastation stuff like the total destruction of systems they make you put in some time. No more doing three clients grade changes at a time. You would get a gateway address that would not accept outside connections! This is where the player has to decide do you keep going for the easy money or take on the longer tasks. You would need to search one of the databases you had access to for other gateways that company had registered under their name. You would then poke around in them looking for a way to target the system you wanted while also finding useful thing like the administration's phone number that you would dial and record with the voice analyzer to defeat later on that security system. This is around where I kept my level of fun in this game at that. I never feel like going on much further than this point and touching the next up LAN stuff. I’ll also admit was not playing this game for the storyline so I never did much with the Faith Progression Revelation line. I just rather enjoyed for a few hours whenever I return to this game doing the odd missions here or there. They do get repetitive after a while as you are breaking into the same systems and making changes to the same people’s records. Often times undoing what you just did ten minutes ago making one guy listed as employed and then someone else had that same exact person listed as deceased! Man, that poor guy had life not knowing what the government files would say next about him whenever he ran must have run into the law! One thing I always stayed away from where was the banking systems in this game. 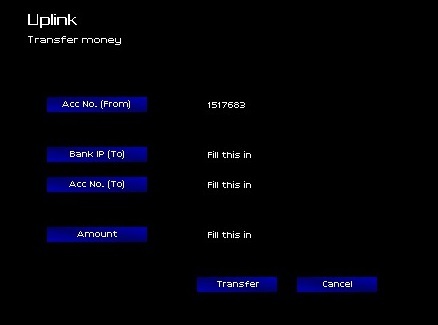 It never took a lot at the early start to work your way into accounts loaded with credits. In only an hour or two, you could have the best system bought and filled with insane hardware. That just seemed like quite a game breaker. It also took out the fun in my eyes of working your way up and into new gateway equipment. Along with buying the better software and not struggling as much to get into the lower end systems. Seems like a great thing to do if you were in a hurry to get on with this game. I never was in whatever odd weekend or weekday night I loaded up this very small in download size game to play it. There are only a number of games in my life that I find myself returning to. It’s not very often maybe every other year but it’s been enough to stick in my mind. I’ve had a number of fun times over the years and if I really wanted to take things up a notch I would go try out the Onlink mod of which I’ve only messed with once. If you’re up for some of that Hollywood hacker genre of games and have not played this one before. Well, I don’t know what kind of rock or hole in the ground you been living in. It’s a must even with how straining on the eyes at least for me reading the text in the game is after a couple of hours of gameplay. It still works in 2019 and I’m just glad it does. Sometimes Introversion Software packages Uplink with another one of their classics. Both tend to go on sale at the same time as well.